The Master’s Degree Programme in Olympic Studies constitutes an innovation in the Olympic Movement at an international level and is supported by the Olympic Solidarity (International Olympic Committee) with a number of scholarships. The educational programme is based on the three pillars of the Olympic Movement: Education, Sports, and Culture, which constitute the foundation for Olympism and Olympic Pedagogy. The promotion of knowledge and research on issues of Olympic philosophy and Olympic Pedagogy, Olympic Education, organization and management of Olympic Games, Mega-events and in general Olympic and sports studies. To provide a specialized workforce that will organize and direct Olympic and athletic institutions, promote the growth of programmes of Olympic education on an international level and that will contribute to the creation of scientific background for the growth and organization of sports. 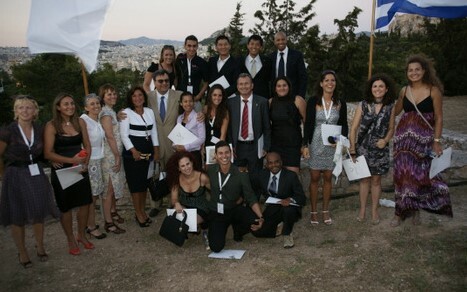 The following categories of students may be admitted to the Master’s Degree Programme; Bachelor degree holders from Greek and foreign Higher Educational Institutions, preferably officials of National Olympic Academies, National Olympic Committees, the International Olympic Committee, International Federations, National Federations and EU Committees for Education, Culture and Sport or researchers of Centers for Olympic Studies, Schools of Sports Organization and Management, Physical Education, Journalism, Economic Faculties and other Departments, as well as corresponding Departments of recognized institutions of equivalent status in Greece and abroad. The number of students is limited to forty (40). The duration of the programme is three (3) semesters. 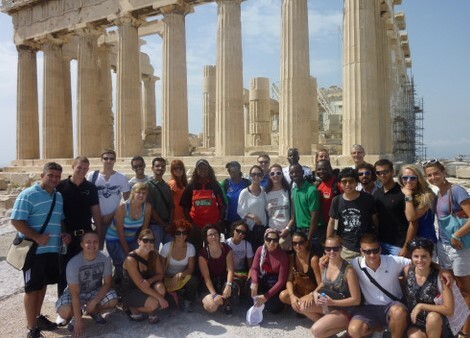 Students are required to attend two semesters of lectures in Greece. The third semester is dedicated to the preparation of the master thesis at the student’s place. 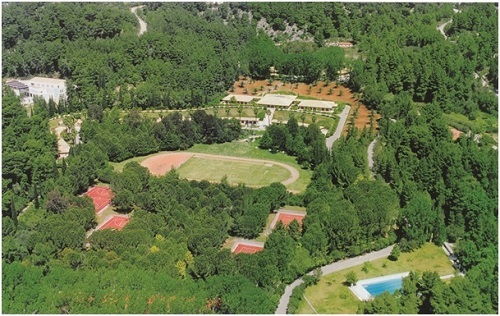 The programme takes place at the facilities of the International Olympic Academy in Ancient Olympia and the facilities of the University of Peloponnese in Sparta, Greece. The presence of the students at all the lectures is mandatory and the submission of module assignments and examinations at the end of each semester as well as the dissertation project at the end of the 3rd semester will determine the success of the participants in this programme. Ο5- The role, organization and operation of Olympic museums and libraries. The tuition fees for the programme payable by the students are 3.000,00 Euros (cost per student) for the three semesters. They are due and payable in two (2) installments. The rest of the total cost of the programme is covered by the IOA and sponsors: accommodation and full boarding for nine weeks per semester (duration of lectures), group transportation from Athens to Ancient Olympia and Sparta and travelling costs for the educational tours (accommodation, boarding, transportation, museum visits) in the prefecture of Peloponnese (4 days) and North Greece (4 days). There is also the possibility of providing scholarships offered by other institutions, i.e. Olympic Solidarity. Applicants who are interested in applying for a scholarship may declare it in the application form and contact their National Olympic Committees and National Olympic Academies for further information. A recommendation letter from a University Professor. The shortlisted applicants will be interviewed via skype. Applicants for a scholarship should also send the documents via email.